Last year’s First Reformed was regarded by many as one of the year’s best movies, but it was largely exiled from the Academy Awards. An acting nomination for Ethan Hawke and a Best Picture nod seemed in the cards, but First Reformed was only nominated for Best Original Screenplay. Was it a snub, or is the movie overrated? 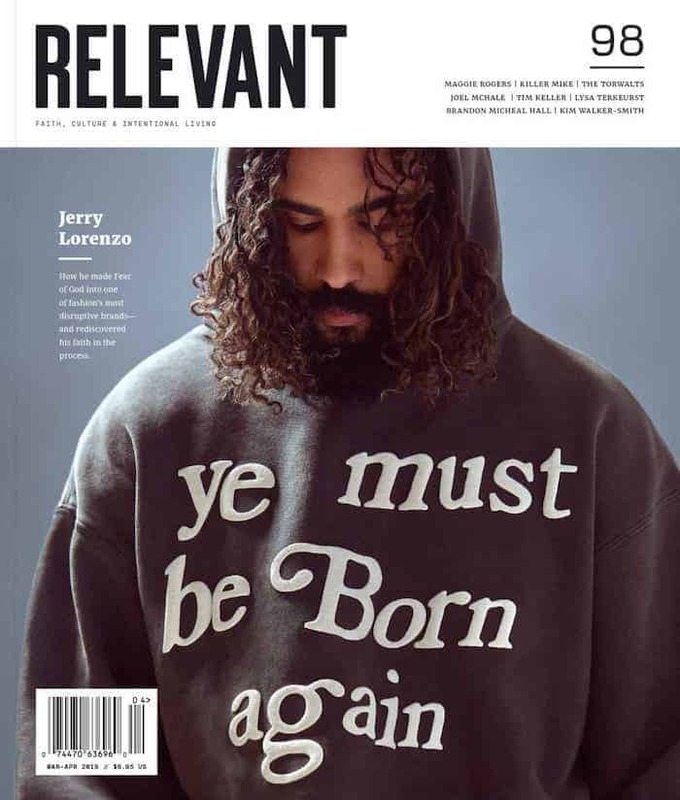 Two of RELEVANT’s regular contributors, Joshua Pease and Travis Roberts, hash it out. Joshua: I’m not going to lie Travis, I’m shocked you don’t like this film. First Reformed isn’t just my favorite film of 2018, it’s probably the best film I’ve ever seen tackle the topic of religious faith. What’s your beef? Travis: First Reformed left me feeling like I was standing in the shallow end of something pretending to be much deeper. I’m a Christian from the Reformed tradition, so hearing that Ethan Hawke, one of my favorite actors, was going to take on the role of a reformed priest had me thrilled. Yet when I left the theater, I felt I hadn’t met any Christian characters at all. Let me ask you this: Which scene sounded like a genuine conversation between two authentic Christians? Joshua: Oh man, every scene involving Ethan Hawke’s Reverend Toller, which means … every scene, period? I found his conversations with Cedric the Entertainer’s character, a pastor who was more committed to his machine-like church than Toller’s questions, painfully on-point. As a former pastor of 11 years who worked at a megachurch, and as someone who went through my own crisis of faith in the past few years (sans explosives or Pepto Bismol as a mixer), this movie hit me hard. I felt seen by this film, more than I ever have in a movie about faith. It sounds like you had the exact opposite experience though! How much of that is a product of your Reformed background? What about the movie’s depiction of faith felt off for you? One line in there comes up over and over again in the movie: Who can know the mind of God? Here, it’s a bizarre answer to Michael’s question (“Can God forgive us?”), because the real answer is a resounding yes! As for who can know the mind of God, the answer is anyone with a Bible. On the page, Toller’s response comes across as a series of platitudes, not a genuine engagement with the faith. There’s no mention of Christ’s redeeming work, no wrestling with stewardship of the earth, no talk of grace or why it’s pertinent to the conversation. This scene uses the language of Christianity, but it’s a skeleton: just the bones, no connective tissue. Joshua: I hear you, but I’d argue this isn’t a movie about correct theological answers. It’s about a pastor who loses his son and his wife, suffers from alcoholism and oversees a dying church while the ethically-questionable megachurch prospers next door. Toller is not just seeing tragedy in the world on both personal and global levels, he’s seeing a church complicit in it. Meanwhile, the megachurch pastor kowtows to a wealthy congregant because his church has become too big to fail, and even though the congregant’s business is polluting the earth, they need this guy’s tithe money. The most powerful scene in the film for me is when Toller finds the rabbit caught in the church’s fence. The earth is literally being butchered by the church property, and everywhere Toller looks he sees God’s people yawning in response. I watched this film while writing an article about sexual abuse in the evangelical church, and that scene brought me to tears. How do we continue to have faith when the church that claims to represent God is committing such evil? Did that resonate with you at all? Travis: Absolutely. I didn’t walk into this movie expecting it to be a catechism class. What I was hoping for, particularly given both the title and director Paul Schrader’s faith background, were characters informed by those theological truths you’re talking about. Instead, those truths felt like window dressing, and Toller’s answers to Michael’s problems came across as generic and lifeless, not in the sense that Toller is drained by doubt, but lifeless in the sense there’s nothing behind the Christenese Toller spouts. It’s analogous to Star Trek technobabble. The words make sense, but they don’t sound like something a Christian would actually say. Joshua: See, I thought that scene worked for precisely that reason. It’s the most energetic we see Toller physically—he seems alive and vibrant and engaged!—but his answers are hollow. Toller’s faith is theoretical and untested, so when faced with someone truly suffering, it isn’t helpful. That’s why he’s in crisis. He has all the religion, but none of the mystery or beauty or relationship. Jake was a tough character to swallow, and not just for his politics. I’m not saying he’s a total impossibility, but the convergence of prosperity-gospel theology, the evangelical setting and his alt-right politics makes for an unlikely pastiche. Again, there are internally-consistent elements: Cedric’s character definitely seems like he wouldn’t have a huge problem with prosperity gospel. But in upstate New York, how many youth groups are hotbeds for welfare-hating bigotry in a black-led church? Again, we have a lot of plausible notes here, but they’re thrown together to give us a caricature of The Worst Christian. Again, the ideas are interesting, but the writing undermines what the actors are trying to do. It misses on two counts: We have a well-educated Reformed pastor who appears to define sin by comparing one misdeed to a worse one, and we have a human being who uses the word “transgressed” in serious conversation. Maybe this is my experience shining through, but these lines fell straight into the uncanny valley for me, and those kind of clunkers betrayed the verisimilitude throughout the film. Joshua: I don’t think there are a lot of black-led megachurches in upstate New York period, but as a youth pastor, I met more than a few kids similar to Jake. Teenagers aren’t known for their nuance and subtlety, and I could absolutely see the spoiled Jake as the son of the church’s uber-rich benefactor. But this feels like a myopic way to discuss First Reformed in the first place. The movie is trying to paint a picture of the church as not just sick, but poisonous to the world around it. During the movie’s production, a man named Roy Moore was running for Senate in Alabama amid some intense sexual abuse allegations. As the accusations surfaced, some evangelical leaders rushed to defend him. Our country is filled with vaguely-committed pseudo-Christians who seem to see no conflict between xenophobic policies, lying politicians and the kingdom of Jesus. First Reformed is a muted, disturbing, tortured examination of how one can cling to faith when not only the church seems to have lost the plot, but your own personal journey is filled with pain. Audaciously, it manages to find hope beyond that. Travis: I don’t think it’s impossible to find Islamophobia in churches today, but First Reformed doesn’t seem to provide a genuine example of a toxic church. The megachurch here feels like an ad-hoc mosaic of the worst stereotypes of Christianity. I’ve harped on theology a couple of times, not because I’m expecting First Reformed to be a catechism on grace, but because our theology is what shapes us. What we believe about God shapes what we believe about suffering, the church and our responsibility to the world. There have been points in my life, especially recently, where I’ve been dismayed by the church at large, the tragedies within it and our reaction to the way things seem to be spinning out of control. But even when my heart falters, what I know about God can help start it up again. That’s what I was hoping to see in First Reformed: a man wrestling with his faith. What we got felt more like a slow death, the inexorable onset of hopelessness with only the power of human touch to forestall it. Maybe that’s what Schrader was going for. But for me, as a Christian, it rung false. Joshua: You might be right, the characters are a bit broad-brushed, but I’d argue that’s because this movie is almost allegorical. It seems its existential angst resonated with both of us, but we walked away with drastically different feelings about its answer to that angst (or lack thereof, depending on your take). First Reformed’s ending is definitely oblique, but I saw Mary as being more than a woman Toller finds connection with. I don’t think her name (or her pregnancy) is an accident. Everyone in the movie is looking for a theological framework to make sense of life, but true grace is only found in the mystery. Mary is the presence of God’s grace invading Toller’s life and speaking hope and comfort and beauty. She is literally carrying the incarnation, God with us. Ultimately, I read First Reformed as a retelling of the end of Job, where all the philosophical ennui goes unanswered, but Job sees God, and he finds rest in His presence.